Oil prices hit recent highs on Monday on OPEC deal hopes, but hit a snag on Tuesday as Iraq and Iran remain hesitant towards an output cut. • Natural gas has eaten away at coal’s market share in the electric power sector. But falling natural gas production and slightly higher hub prices could lead, at least in the short-term, to a stabilizing of coal’s position. • The EIA projects natural gas-fired generation to cost more than coal generation in 2016 and 2017. Coal-fired power plants, as a result, could be called on more in the years ahead. • But the decline of coal is explained by a lot more than just variable costs of generation. The age of a plant; maintenance and major infrastructure upgrades to old plants; lawsuits; regulations; and public relations all factor into the accelerated rate of coal plant closures in recent years. • Still, coal will at least get a temporary market respite from higher natural gas prices. • Sunoco Logistics (NYSE: SXL) announced a $20 billion merger with Energy Transfer Partners (NYSE: ETP) on Monday. Both stocks fell by about 7 percent on Monday on the news. • Noble Energy (NYSE: NBL) and Delek Drilling (OTCPK: DGRLY) are closing in on the $4 billion in financing they need to drill the massive Leviathan gas field off the coast of Israel. • Concho Resources (NYSE: CXO) agreed to purchase over 16,000 acres in the Delaware Basin in New Mexico for $430 million in cash and stock. Concho also said that its production could rise by 20 percent year-on-year. Oil prices soared on Monday following news that OPEC is making progress on a deal to cut production. The potential breakthrough is coming from Iraq, which is widely seen as the most obstinate of all OPEC members (along with Iran), arguing that it needs higher production to pay for its war against the Islamic State. Iraqi officials said they will offer three new proposals at the technical meeting taking place this week in Vienna. The WSJ reports that the proposals “will be consistent with OPEC policy and are designed to bolster the unity of the group,” although few specifics were available. “All of the options will be logical and in line with OPEC policy,” Iraqi oil minister said. WTI spiked by nearly 4 percent and Brent was up 4.6 percent on Monday before falling back a bit on Tuesday afternoon. PDVSA misses $404 million bond payment. Venezuelan state-owned oil company PDVSA missed coupon payments on three bonds, a worrying sign for a company (and country) dangerously close to insolvency. That counts as a technical default, although the company will have a 30-day grace period. 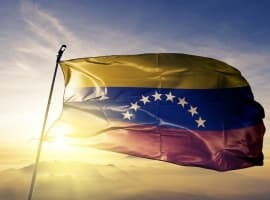 “We still believe PdVSA will make these payments,” the J.P. Morgan analysts said, according to the Wall Street Journal. Goldman Sachs bullish on commodity prices. Goldman Sachs says that investors should expect rising prices for all sorts of commodities next year. This is the first “overweight” recommendation for commodities in more than four years. It is a small sign that the down cycle for commodities could be starting an upswing. Also, the prospect of major tax cuts and heavy spending plans from the Trump administration are starting to push up prices. ExxonMobil and Chevron unprepared for green shift. A new report finds that ExxonMobil (NYSE: XOM) and Chevron (NYSE: CVX) are woefully unprepared for a transition to clean energy. The report from the non-profit group CDP surveyed 11 large oil and gas companies, and found that Exxon, Chevron, Suncor Energy (NYSE: SU) are the worst positioned for the ongoing shift to low-carbon sources of energy. Statoil (NYSE: STO), on the other hand, ranked first due to its portfolio that relies relatively more on natural gas. The clean energy transition may not be having much of an effect on the share prices of the largest oil companies right now, but there is a growing consensus over the longer-term threat to the business models of the oil majors from clean energy. Sunoco to merge with Energy Transfer Partners. 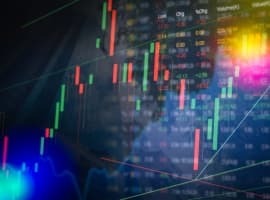 A large merger in the midstream business was announced on Monday, with Energy Transfer Partners (NYSE: ETP) set to join up with Sunoco Logistics (NYSE: SXL), in a deal valued at $20 billion. Both companies are controlled by Energy Transfer Equity (NYSE: ETE), and will be combined with Kelcy Warren, ETP’s CEO, to lead the combined company. The companies say the deal will offer increased scale and diversification across natural gas liquids business for Sunoco and Energy Transfer’s gathering and pipeline transit business. The synergies are expected to save $200 million per year. Related: Can OPEC Get It Right At Long Last? BP explores business in Iran. 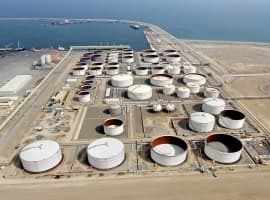 The British oil giant is looking at investments in Iran but will keep its CEO Bob Dudley out of Iranian related business altogether in order to avoid running afoul of U.S. sanctions. The election of Donald Trump has complicated the calculus for pouring money into Iran. Kashagan begins commercial operations. Kashagan, the massive oil project in Kazakhstan, announced that commercial operations have begun. The project is years behind schedule and costs have nearly doubled from their original estimate, now well over $50 billion. The consortium, which includes Eni (NYSE: E), Royal Dutch Shell (NYSE: RDS.A), Total (NYSE: TOT) and ExxonMobil (NYSE: XOM), said that production will gradually ramp up to 370,000 barrels per day by the end of next year. Canada to phase out coal by 2030. Four Canadian provinces still burn coal for electricity, but Canada has vowed to phase out coal entirely over the next 15 years. Coal accounts for 10 percent of Canada’s greenhouse gas emissions. The provinces will either have to replace coal burning with other sources or used carbon capture technology. The announcement comes as U.S. President-election Donald Trump has promised to revive the American coal industry. If the OPEC meeting doesn't take place until the 30th, then what technical talks is this article talking about?